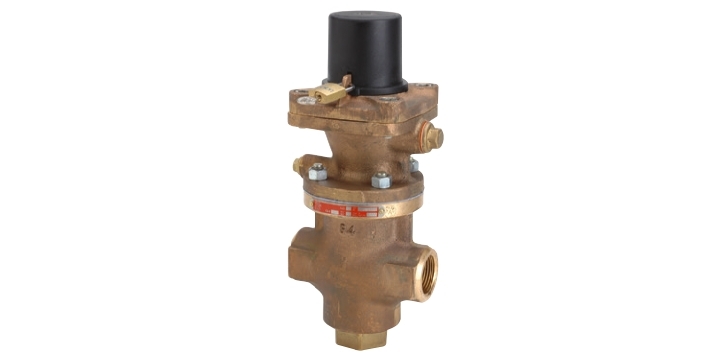 Pressure regulating valve, or pressure regulator. Pressure regulating valves (PRV) are common components of many processes and equipment. The function of a PRV is to maintain a desired outlet fluid pressure under varying conditions of supply pressure or outlet flow demand. Many variants exist in the market, each specifically designed to address a range of process conditions or offset a performance characteristic deemed undesirable in another design. Each has a suitable place in the range of possible applications, with cost, size, construction material and complexity primary differences among the offerings. A PRV is not a safety device. An independent means must be provided to protect the system from excessive pressure. Product specialists are a good source of help in selecting a properly sized and configured valve for an application. Share your fluid process control challenges with a product application specialist. Leverage your own process knowledge and experience with their product application expertise to develop an effective solution.